Homeowners begin every renovation with the best of intentions. The budget is fixed, the schedule is firm, and the results—well, the results are sure to be spectacular. Unfortunately, life gets in the way, and that week of organized chaos for which you had bargained soon becomes a month (or more) of construction site living. If your home improvement is taking longer than expected, don’t panic—plan! First things first, set aside sufficient time for deconstruction. A good way to kill your drive from the get-go is attempting too much on day one. Come up with a conservative plan, then stick to your set schedule. Remove debris as it accumulates; don’t wait until you’re knee-deep in rubble. 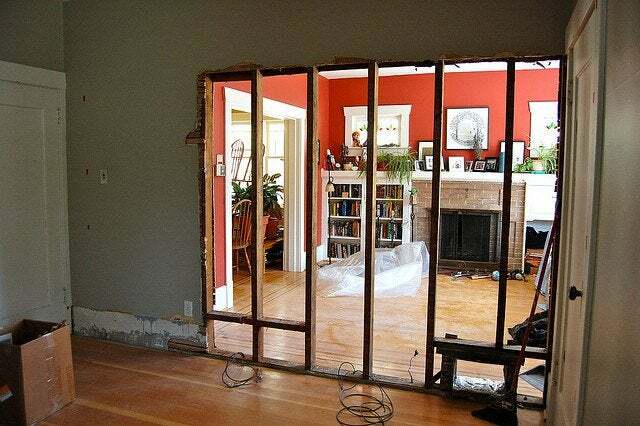 Also, consider getting the demolition done a week prior to your official project start date. This strategy helps remodelers move through the “What did I get myself into?” phase. Do everything possible to protect your children or pets. Unplug and store power tools, tighten the lids on paint cans, and vacuum all dust. Clean up loose nails, gather stray wires, and remove toxic liquids or putties (e.g., joint compound). Here’s a neat trick for dealing with dirty paintbrushes: Between uses, wrap them in plastic and place them in the refrigerator. They’ll be ready for action when you next need them, and your dog will stay its original color. You may discover after a few days that your seemingly simple project is more involved than expected. At this point, it’s natural to feel overwhelmed. Resist the temptation to back away from the task altogether. Even if you can only bear to commit one or two hours per day, continue to chip away at making progress. Sooner than you think, the end will be in sight. Plastic sheeting serves at least valuable roles: It prevents construction dust and debris from spreading throughout your home, and it enables you to hear when a child or animal has entered the work zone. Buy this product by the roll at your local home improvement center, and attach it to wall studs using a staple gun. Give yourself a place to retreat. Maintain at least one room that is renovation-free. Here, you do not have to deal with, let alone see, the work underway. Being able to forget about the project, even for a short time, helps remodelers relax and rejuvenate. 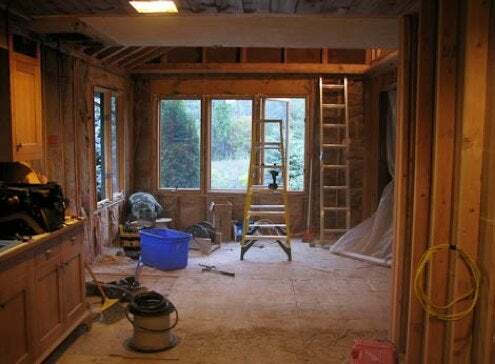 If the nature of your renovation is such that you cannot carve out a calming oasis, think about temporarily residing somewhere else—a relative’s house, a hotel, or even a rented RV.